If you come across any useful forms or templates, or even handouts that you have collated and would like to share them with others we can drop them here. 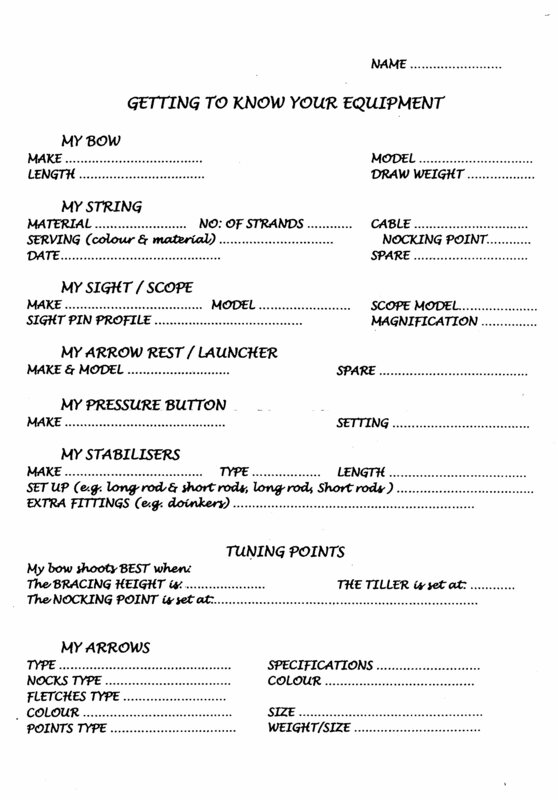 Ever needed a proforma for recording bow setup and arrow details? There are better ones than this but until someone send it too me you will have to make do. How often do you have to go through the same talk with your beginners to explain about rounds and scoring? Here’s a nice guide for them which covers almost everything they will ask in those first few years.